Propp Drugs was established by M.L. “Pete” Propp. Born in Missouri he graduated from St. Louis College of Pharmacy and moved to SC in 1951. In April 1959 “Dr. Pete” incorporated Propp Drugs from the former Moorhead Drugs on S. Main St., Anderson. The Pharmacy moved to its current location in 1967. Pete's son, Lee Propp, is the current owner, since 1991 and is a 1980 graduate University of South Carolina. 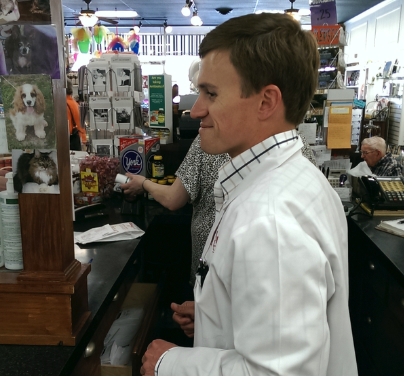 As an independent pharmacy Lee and his staff strive to maintain a personal yet professional relationship with patients and customers. For nearly 50 years Propp Drugs has been known for its friendly, personal service, as a place for unique gifts and confidential one-on-one prescription counseling and filling. The pharmacy specializes in custom prescription compounding. With a physician’s order a prescription can be prepared from “scratch” to meet the specific needs of any patient. 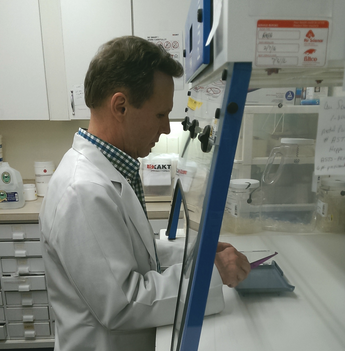 Lee Propp, a compounding pharmacist, is always glad to explain the value of prescription compounding and what medication options are available. The pharmacy staff is quickly accessible to answer all prescription, over the counter, and nutritional supplement questions and a private consultation room is available. In 2013 Propp drugs became a three generation pharmacy. McCallum Propp, Lee’s son, also graduated from the USC and joined the business. Holding a Doctor of Pharmacy degree, McCallum is specially trained in medication monitoring and vaccine administration.